Dr. William Konteh last night continued his unpatriotic campaign of calumny on Sky News, against his fellow West African people; this time, posing not as a medical doctor, but as an environmental scientist – calling on the British authorities to tighten up vigilance at British airports on those coming into the UK. 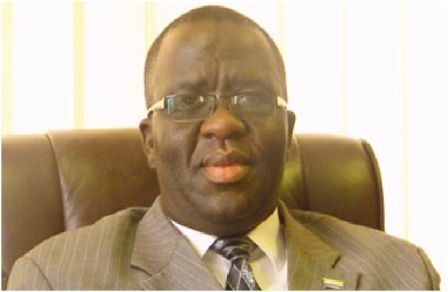 What is Dr. Konteh’s motive, with the dark clouds of corruption still hanging above his head? Certainly, president Koroma cannot now deny that he has sacred cows, as impunity continues to reign supreme in Sierra Leone. 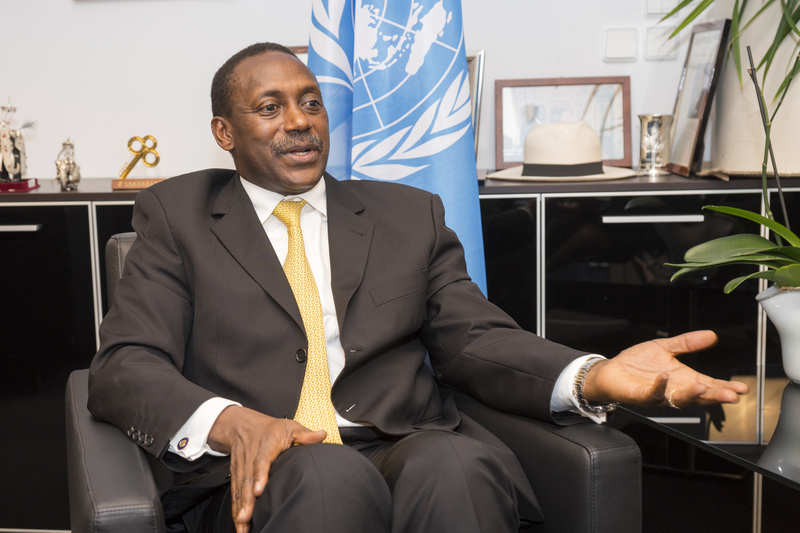 In contrast, other well meaning and honest patriots like Dr. Kandeh Yumkella, are busy drumming up support for their beloved Sierra Leone, in its fight against the deadly Ebola. 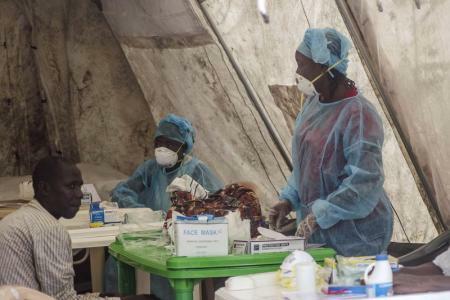 The Director- General of the OPEC Fund for International Development (OFID) has today approved an emergency assistance of US$500,000, in support of the World Health Organization (WHO) campaign to stop the spread of the deadly Ebola virus, courtesy of Dr. Yumkella’s efforts. Ebola has claimed hundreds of lives in West Africa, especially in Sierra Leone. 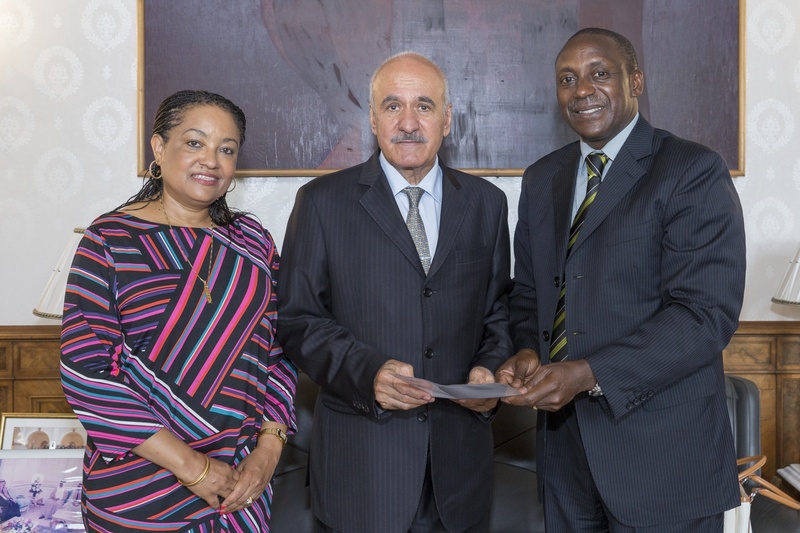 The grant was approved following discussions between the Director General of OFID – Mr. Suleiman J. Al-Herbish and United Nations Under-Secretary-General Kandeh Yumkella. Yumkella is the UN Secretary-General’s Special Representative for Sustainable Energy for All and CEO of the initiative. As a member of the Advisory Board of the Sustainable Energy for All, Mr. Al-Herbish is a strong supporter of the initiative. He believes that access to reliable and affordable energy supply is crucial for developing countries, and is committed to using all resources at his organization’s disposal to step up its intervention – at advocacy and operational levels, in promoting the importance of energy for better health care. Sierra Leone has a high percentage of people living without access to electricity, and this funding in support of the activities of WHO and its Ebola program, will help the nation’s fight against the disease. It is hoped that the funding will also complement support received from other sources. Yumkella says that he was happy to have arrived yesterday in Vienna, where he met with Mr. Al-Herbish at his office for the official announcement, after numerous discussions. “His personal effort to secure and fast track the grant after my appeal to him is a demonstration of his genuine commitment to sustainable development in Africa,” said Yumkella, after expressing his heartfelt gratitude on behalf of the people of Sierra Leone and the sub-region. Yumkella paid special tribute to the late Dr. Humarr S. Khan and other frontline health care personnel, who have given their lives in service to the nation. “We should consider their courage and sacrifice as an inspiration for all of us to recommit ourselves to our core values as Sierra Leoneans,” says Yumkella, extending condolence message to the families of all victims, as they mourn their loved ones at this moment of pain. He strongly commended WHO Director-General, Dr. Margaret Chan, on her leadership and personal hands-on approach to tackling the disease. Supporting Sierra Leone in good and bad times is not new to Yumkella. His philosophy is that every Sierra Leonean should do all they can to help the nation move forward, with whatever they can. “We must support each other; we must support our government because when they fail, we all fail as a nation. When governments succeed, all citizens benefit,” he said. Well done to Dr Yumkella. I hope other Sierra Leoneans will emulate your example. It is hoped the money will be channelled in the right direction to help this desperate fight against the Ebola disease.